A Rhode Island lawmaker has introduced a bill that would create a $15 an hour minimum wage for city employees in Providence. Rhode Island’s current minimum wage is $10.50 an hour. 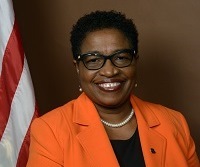 Providence Democratic Representative Marcia Ranglin-Vassell says that’s not enough for some workers to pay for their core needs. The proposal, cosponsored by Representatives Moira Walsh, Anastasia Williams, Chris Blazejewski, and Edith Ajello, would hike the minimum wage for city workers, starting next January. Ranglin-Vassell, a Providence school teacher, acknowledged the city faces fiscal challenges. But she said people who work for Providence should earn enough to support themselves. "My focus is how can we really support the middle class and a group of people that people don’t talk about too much, at least not in the Statehouse, and that’s the working poor and poor people and people that are living in our state in extreme poverty," Ranglin-Vasssell said. She added, she thinks proposals to hike wages deserve broad support. “These bills are part of the fabric of core Democratic values, of how we treat the poor, how we treat children, how we treat their families,” Ranglin-Vasssell commented. Providence Mayor Jorge Elorza has yet to offer a position on the wage hike proposal. The bill got an initial hearing Wednesday in the House Labor Committee.